Has &apos;Feminism&apos; become a dirty word? October 05, 2013, 7:45 a.m. In an interview last week, David Cameron refused to describe himself as a feminist, whilst simultaneously stating his belief that men and women should be treated equally. In a subsequent interview for Channel 4 News he clarified his position “if that means equal rights for women, then yes”. The confusion exposed ambiguities in the term, but also hinted at wider issues in the public perception of "feminism". New research reveals that although British people overwhelmingly support equal rights for women, most are reluctant to define themselves as feminists. 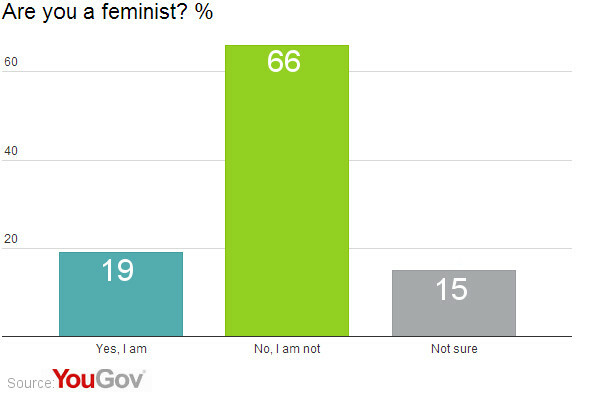 Only fifth (19%) of the public claim to be feminists, including 27% of women and 10% of men. Two-thirds (66%) stated they were definitely not feminists, including 77% of men and even a majority (57%) of women. 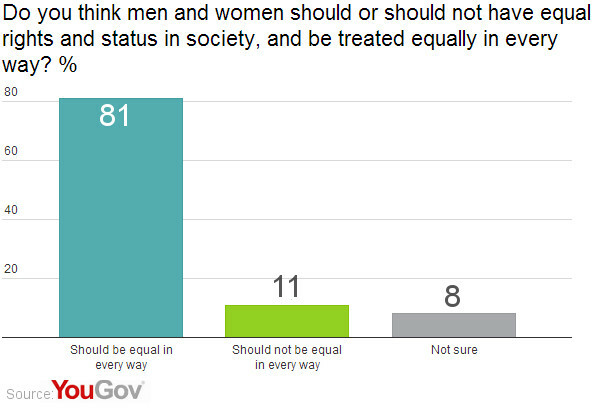 However, when asked about equal rights the public is unambiguous in its support. Four of every five (81%) believe men and women should have equal rights and status in society, and be treated equally in every way. Just 11% disagree with 8% unsure. The results suggest that, although most people support its key tenets, “feminism" has become a dirty word.